Through all the years I have been active infield and before I even became a professional Pick Up Coach I had 6 wingmen. It never did last long as they all found girlfriends within such short time of going out infield with me. At first I was pissed because that wasn’t what I was in it for and I guess I saw it as them settling too early. However I look back on that now and some of them are still with the same girl and I can honestly say they are all still happy and content, which has got to be a beautiful thing right? What do I do when my friends come into my sets and blow me out? I asked him, are they intentionally or unintentionally blowing you out? He went on to tell me that it was actually unintentionally. He would open up a group of ladies and his friends would see it as there chance to ‘get in there’. But for now my advice is to get away from these people as they will do absolutely nothing to help you succeed in this area of your life. 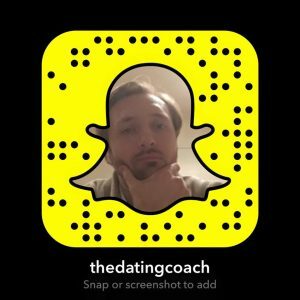 Instead invest your time in finding a good wingman that has the same intentions as you. To answer the students first question I got him to watch this scene out of the film ‘A Beautiful Mind‘. Here John Nash played by Russell Crowe really breaks down the dynamics and logic of opening and closing a big set. Big sets are my favourite to open and by watching this I hope it really gives you a push this festive period to really go at it. Where you can work with London’s top dating coachJohnny and take your game to the next level with professional pua training.